What’s this? Up in our tree . . . ? More crab apples! 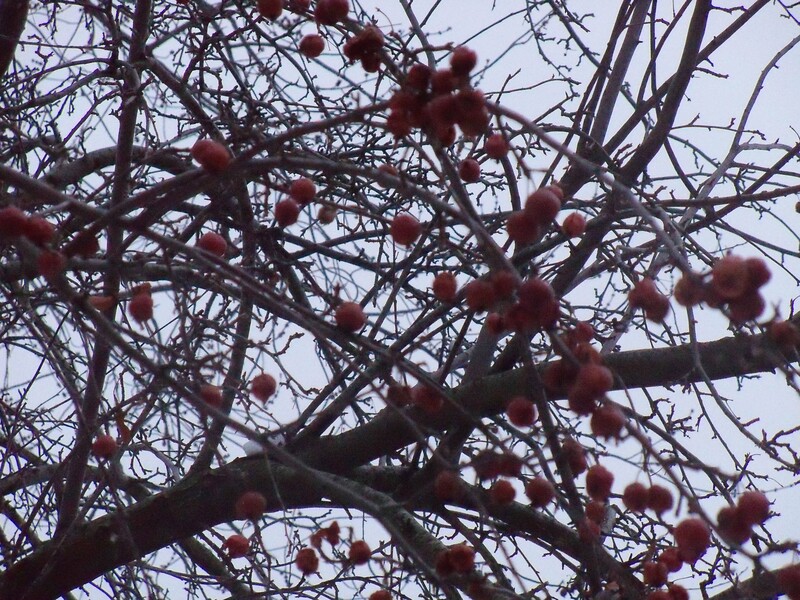 Remember when I wrote about our crab apple tree last September? I guess I haven’t spent time in our yard since winter started (brrr! ), but I was surprised to see these guys hanging on late yesterday afternoon. 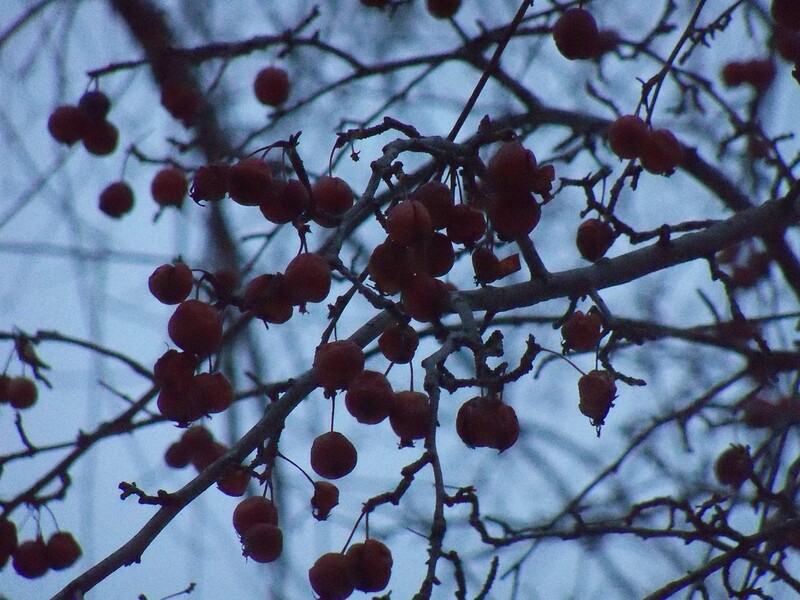 This entry was posted in Nature and tagged crab apple tree, crab apples, winter. Bookmark the permalink. How lucky to have a beautiful tree like that! Are you going to make a lot of yummy apple treats? My neighbor keeps saying I should. I need to enlist her help and give it a try!